I grew up (a long time ago!) in a small bush town in Africa. No TV, iPods, computer games and surfing the internet – you could say I had a very deprived childhood! Not so. Instead, for entertainment I learned to read. Books became my windows to the world: they told me about dragons and fairies and magic. They told me about other countries and other cultures. They told me about myself. And I have never stopped reading, because I love stories. I guess I always did things back to front – the hard way! 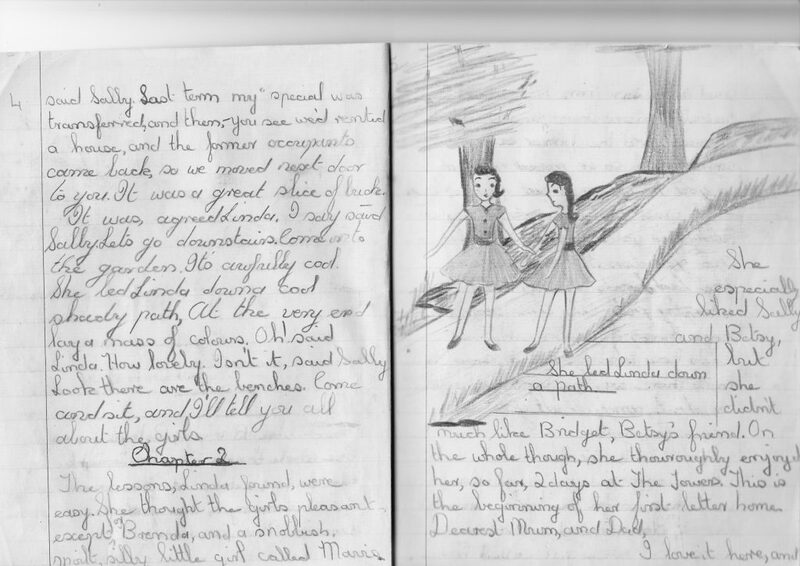 In Africa, when I ran out of books to read, I wrote my own (see pic of one of my early efforts!). I love writing stories, but I never thought about it as a grownup occupation. As a grownup, I had to go back to school to find out that I really was a writer. After doing the HSC at the age of 40, I went on to do a BA (Communications) degree at UTS. My major was creative writing, and suddenly I found myself experimenting with all sorts of genres and, in particular, writing the sorts of stories that I love to read – crime and timeslip fantasy back into the past. 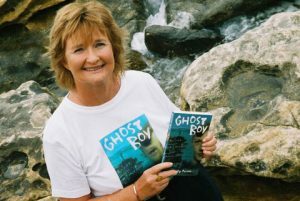 I then went on to do an MA in Children’s Literature at Macquarie University, during which time two novels for children were published: Three’s a Crowd (written under the pseudonym Anne Holmes) published by Pan Macmillan, and Ghost Boy, now published by Random House Australia. Wally the Water Dragon (Blake Education) and Surfing the Future (Wendy Pye NZ) came next. Then my beloved dog, Bonnie, died, and out of that sad and dreadful time came the Shalott trilogy (published by Random House Australia but currently out of print. I’m hoping that these will soon be republished in a bind-up trilogy.) In these three novels, five teenagers zap back in time to the court of King Arthur with the intention of rewriting the legend in order to save Camelot and also save the life of ‘The Lady of Shalott’. Everything goes wrong and, instead, they find they’re actually creating part of the legend while also rewriting their lives and their future. Read the poem ‘The Lady of Shalott’ by Alfred Lord Tennyson. 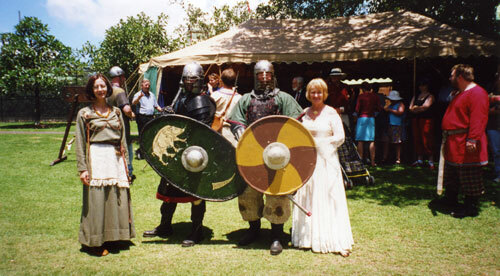 After the Shalott trilogy, I cast about for another fascinating piece of Australian history to write about (as I had for Ghost Boy) but I discovered that my heart, and my dreaming, were still in medieval England. And so The Janna Mysteries were born, combining my love of crime and medieval time in an exciting romance set in the 1140’s: a time of civil war and great danger in England’s history. Please Note: The Janna Mysteries have now been republished as The Janna Chronicles by Pan Macmillan Australia and are available from all e-book retailers. Print versions may be ordered directed from the publisher: www.panmacmillan.com.au. One thing I really enjoy about writing is researching the places where my books are set. I spent a lot of time at the Quarantine Station in Sydney when writing Ghost Boy, which has a flashback to the grim and grisly conditions there during a smallpox outbreak in 1881. 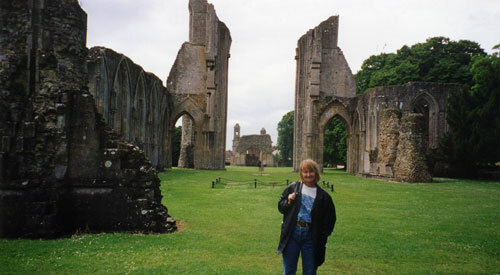 To research the Shalott trilogy, I followed ‘the Arthurian trail‘ in the UK, looking at many of the sites associated with King Arthur and the knights of the Round Table. Click on the images below to see ‘the sacred Isle of Avalon’ and ‘Arthur’s grave’ at Glastonbury. 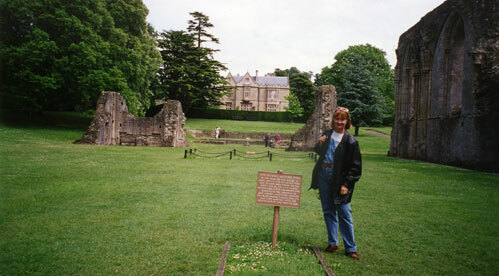 I visited England three times to research my medieval crime series for teenagers, The Janna Mysteries. 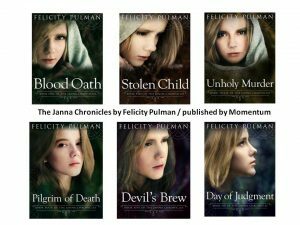 Originally published by Random House Australia and Create Space, the six books have been retitled The Janna Chronicles. E-books are available from all ebook retailers; the paperback version is published POD by Pan Macmillan Australia. Their titles are: #1 Blood Oath; #2 Stolen Child; #3 Unholy Murder; #4 Pilgrim of Death; #5 Devil’s Brew and #6 Day of Judgment. The Janna Mysteries are on the Victorian Premier’s Reading Challenge list. I began A Ring Through Time, a time-slip story for teenagers, while on a May Gibbs Fellowship in Adelaide. The novel is set partly during the dreadful convict past at Norfolk Island, and I had several wonderful research trips to the island for research purposes (as well as a holiday!) 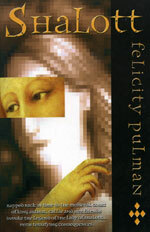 The novel won the Society of Women Writers biennial book award in the Junior Fiction/YA category. 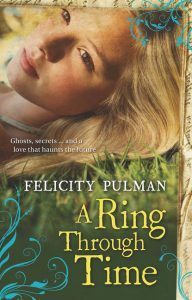 A Ring Through Time was also runner up in the Davitt Awards in the YA category, presented by Sisters in Crime Melbourne. 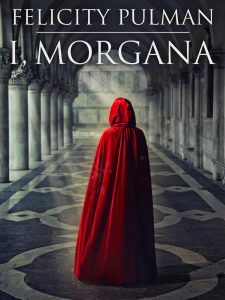 My novel for adults, titled I, Morgana, is a rewriting of the ‘wicked witch’ of Arthurian legend, telling the story from Morgana’s point of view. I was thrilled to be awarded the Society of Women Writers / Di Yerbury writer’s residency which meant I could spend 3 months in the UK in 2015 researching and writing the sequel to I, Morgana, titled The Once and Future Camelot. These two books were published by Pan Macmillan Australia (Momentum) but The Once and Future Camelot is only available as an e-book. Read more about the novels and some of the reviews on the I, Morgana and The Once and Future Camelot page. I am a member of several speakers’ agencies, with many years’ experience talking to students, teachers and librarians, and at writers’ festivals in NSW and interstate about researching and writing my novels. I am also available to conduct writing workshops in various genres for both children and adults. Genres include writing a short story, creating a fantasy ‘Otherworld’, writing from history, life writing, and devising crimes and mysteries. I’ve conducted workshops around Australia for Writers Centres, the Fellowship of Australian Writers, the Society of Women Writers and other organisations including Petrea King’s Quest for Life. Please visit my Workshops, Visits and Bookings page to find out more about what I can offer your school or organisation.